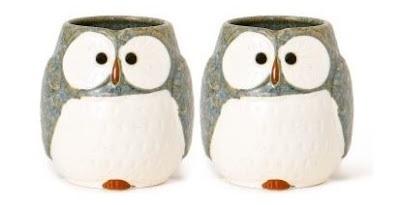 I've always loved these little owl cups from Anthropologie. I grabbed one for Audrey last year, and she's smitten too. 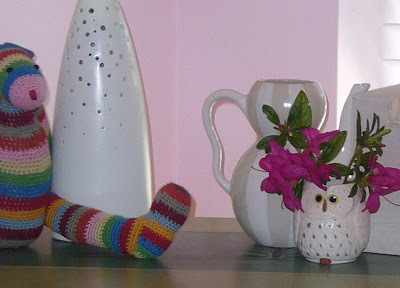 Every once in a while we tuck in a new flower and rotate him around the house to spread the joy... It just doesn't seem fair that he be confined to only one room. 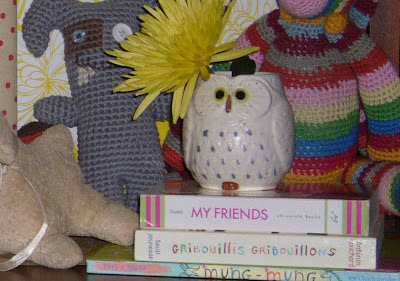 I have been in love with those owl things for the longest time.